Help us collect canned goods and other non-perishable food for the needy! We’ll be passing out flyers on Saturday, November 10 and picking up donations the following Saturday, November 17. Details on when/where to bring the donations that have been collected will be sent out via email to the Pack 104 mailing list as the collection date approaches. 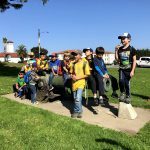 For more information about the Scouting For Food program and our local Council’s efforts, please visit the Mt Diablo Silverado Council website. Cubs and parents alike learned about early San Francisco history as we hiked the Presidio Historic Trail. Thank you, Candice, for organizing the hike, and thank you, Starla, for sharing your knowledge with us! 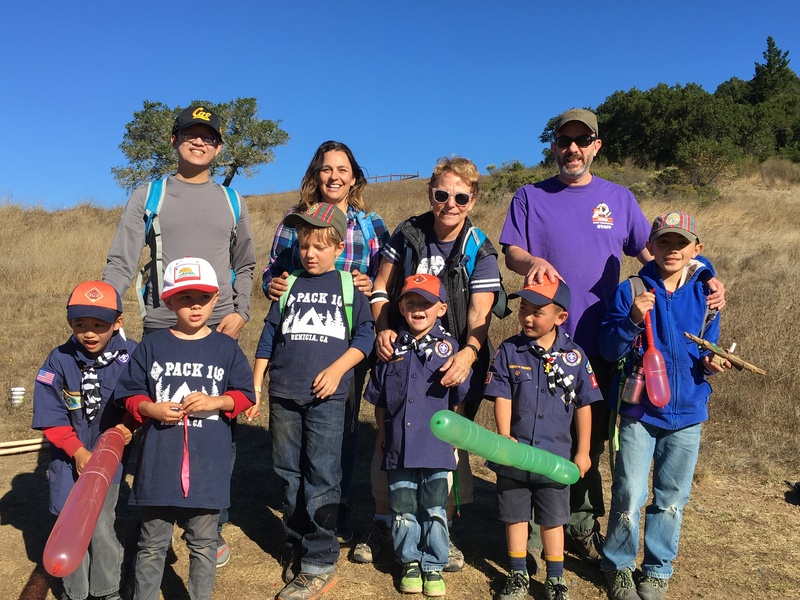 Some of the Pack 104 Tigers got their year off to a great start with friends from Pack 108 and many others at the Marin Council’s annual Tiger Expedition. 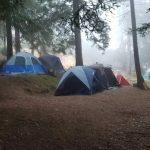 Pack 104 had a blast sleeping amongst the redwoods at Camp Herms. 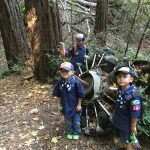 The Cubs worked on their outdoor skills, from pitching tents to cooking, knife safety, building campfires and more! Several even hiked over to Tilden’s Little Farm. Nerf Games IV: Knot Another One! – Saturday, June 2nd 10 am @ Cerrito Vista Park. Please bring a Nerf N-Strike Elite. We will provide the darts, please don’t bring any. Boys, Girls, and Siblings all welcome. There will be information about Boy Scouts and Girl Scouts. 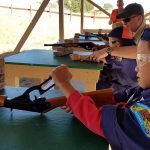 Kids will have the opportunity to learn knots and test their Nerf skills. 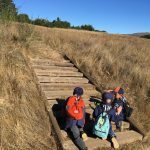 Pack Hike – Sunday, June 3rd @ Mt Tamalpais. Join us for a 2.5 mile loop. The hike should take about 2 hours – bring a picnic lunch. Meet at 9 am in the parking lot for East Tamalpais Peak on E. Ridgecrest Bvld. 4th of July Celebration – Wednesday, July 4th 11 am to 3 pm. 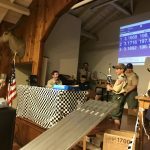 Pack 104 will be at the El Cerrito 4th of July Celebration promoting Scouting and helping run Carnival games with Troop 104. 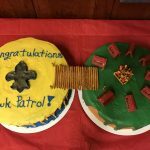 Pack 104 Swim Night – Friday, July 20th 530 pm. Scouts will get the opportunity to take the BSA Swim Test, talk with a Lifeguard about water safety, and have fun swimming during the Family Swim at the El Cerrito Pool. Annual Fishing and Crabbing Outing – Sunday, August 5th . We will meet at the Moore Road Pier at Fort Baker. No need for a fishing license or gear. Just bring a lunch and wear layers. 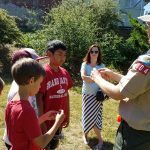 Camp Herms Service Project – Sunday, August 19th 9am – 12 pm. The Pack will do a service project at Camp Herms. Please bring work gloves, sun protection and water. A breakfast snack and tools will be provided. 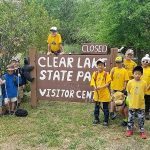 Fishing, hiking, weenie roasting, s’moring and more… the Spring campout at Clear Lake was packed with fun, and now the Scouts are looking forward to our next campout in Fall! 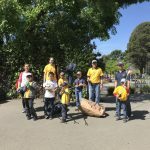 The Scouts did a good turn by helping clean up and beautify one of our local parks.